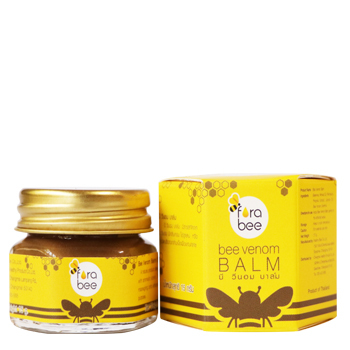 Product from bee venom extract which has special properties to relieve rheumatism, joint and muscle pain and itches due to the insect bites. Also, it helps assist in the treatment of minor skin problems such as abrasions. Rub well on the affected area until completely absorbed. Repeat 3 to 4 times daily as necessary.